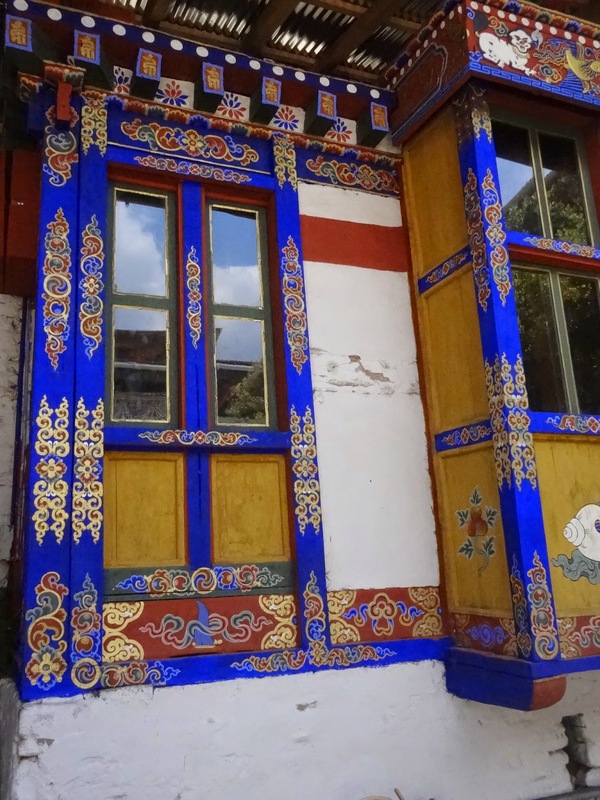 Anyone travelling to Bhutan can’t miss Paro. They might skip Thimpu, the capital city of Bhutan. But they can’t miss Paro for two reasons. One, Bhutan’s only one international airport is in Paro. Yes! It is not in Thimpu but in Paro. Second, Even if you are not travelling by air, how can one miss Tiger Nest Monastery after travelling to Bhutan? Bhutan’s iconic monastery Tiger Nest or Taktssang is located in Paro. Doesn’t the name of the city sound interesting ? Have you heard of the famous Indian love story ‘Devdas’? Paro, is the heroine of the story. I know, there are no similarities between these two Paros other than name, but somehow the familiar name evokes an undefined attraction to the city. Paro is a small quiet town with very few roads. You can walk across the town in less than 30 minutes. They say Bhutan is a land of mountains. Sometimes I feel Bhutan is a land of valleys. Well, they are both the same, it’s just the way you want to look at it. Bhutan’s all the towns and cities are located in valleys, whether it is Thimpu, Punaka or Boomtang. Paro valley is encircled by many mountain ranges. Paro buildings are rooted in Bhutanese tradition. All of them are wooden structures with vibrant colours and sloped roof. There are no traffic signals. 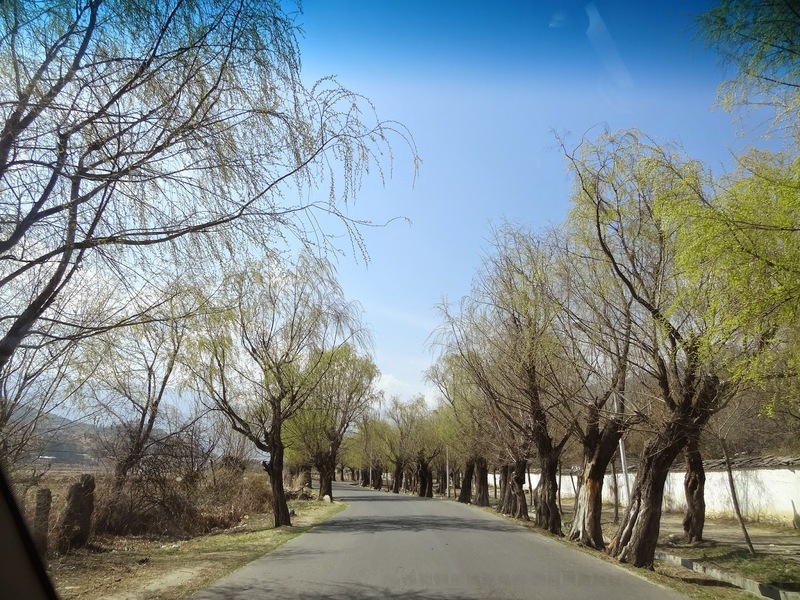 I was smitten by the beauty and laid back nature of the town and walked across the town on both the days I stayed. River Paro flows from one end to the other. Walking along the river Paro in the evening was one of the quieter walks I ever had. Who does not want to walk here? Tiger Nest or Taktsang Monastery is first thing to see in Paro. Perched on top of the hill this monastery is a key sacred religious place in Bhutan. Legend says it was named as Tiger’s nest after Guru Rinpoche flew to this place on a Tigress’ back to subdue a demon and bring peace in the region. There are many legends around Guru Rinpoche and many other Buddhist saints. Built in 17th century, this monastery is a true wonder! 10 kms away from Paro, it is located at the height of 3120 mts. The way up to the monastery is a steep climb. Throughout the hike, views of the monastery play hide and seek. Mid way there is a cafeteria which offers good views of the Tiger’s nest. Those who can’t climb till the top generally end their trek here. I kept wondering how did they built the monastery on a cliff. It is so difficult to even walk up there! How did they transport materials to that height?! I was told that there are lot of stories of divine help in building the monastery at that height. Whatever it may be, it certainly does not look like a human task. The hike is not for the weak! Early morning start for the trek is recommended. You can a hire horse if you are not comfortable walking all the way up. However, this alternative will not take you till the top as there are few steps where horses are not allowed. While coming back to Paro from Tiger’s nest, my driver told me about this place. I decided to visit Kyichu Lhakhang, which is one of the oldest temples of Bhutan built in 7th century by one of the Tibetian Kings. There was some religious activity in progress when I visited. Buddhist monks were praying with chants with religious rites on the full progress. In the courtyard, there was a tubular structure from which I could smell the smoke of fragrant offerings, commonly experienced in Indian religious ceremonies. Somewhere inside me, stirred some spirituality, which I cannot put down in words! Dzong in Bhutanese means fortress. Shabradung, Bhutan’s reformer built Dzong in all the major cities. Typically it has a monastery, temple and other administritative blocks within the envelop of huge walls. Paro Dzong is one of the important Dzong and like other Dzongs, is located on the bank of river Paro. 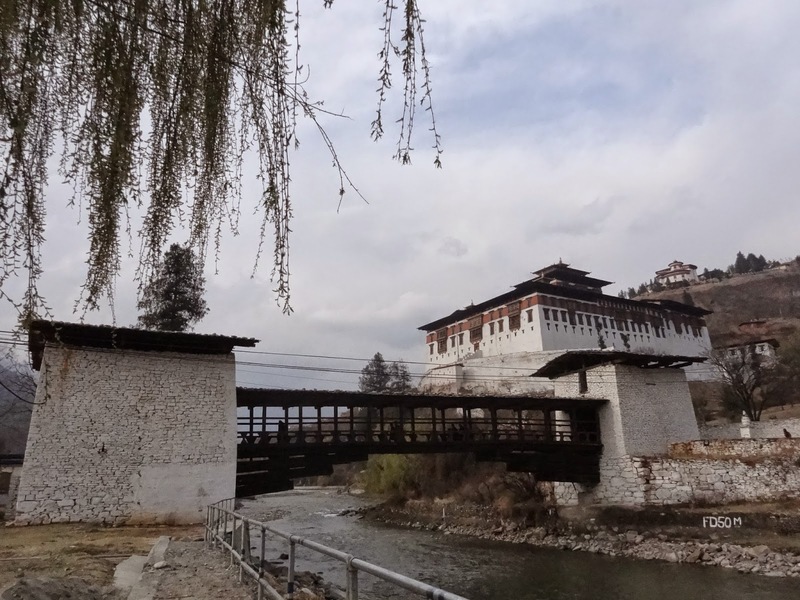 I took a walk from hotel to the Dzong. The entrance has a wall adorned with paintings. God of Death holding a wheel was intriguing, forcing me to ponder over the inevitable cycle of life and death. Dzong and the museum (next to each other) always look as the face of Paro, courtesy their grand architecture and dominating structure. The museum is housed in a circular building supposedly built in the shape of conch shell. I was told it was once used as watch tower for Dzong located below. In 2009, the museum suffered a fire accident and they have moved museum to the building next to it. Exhibitions portray Bhutan’s culture, fauna and flora. My favourite was the mask – I was coming back after watching mask dance from Punakha and could feel the vivacity and animation that it could bring out! People of Bhutan are the best part of Bhutan. Everyone in Bhutan is friendly and helpful. The locals go out of their way to make you feel comfortable and safe. As a solo female traveller, I felt safe and secure in Bhutan at all times. Archery is their national sports. 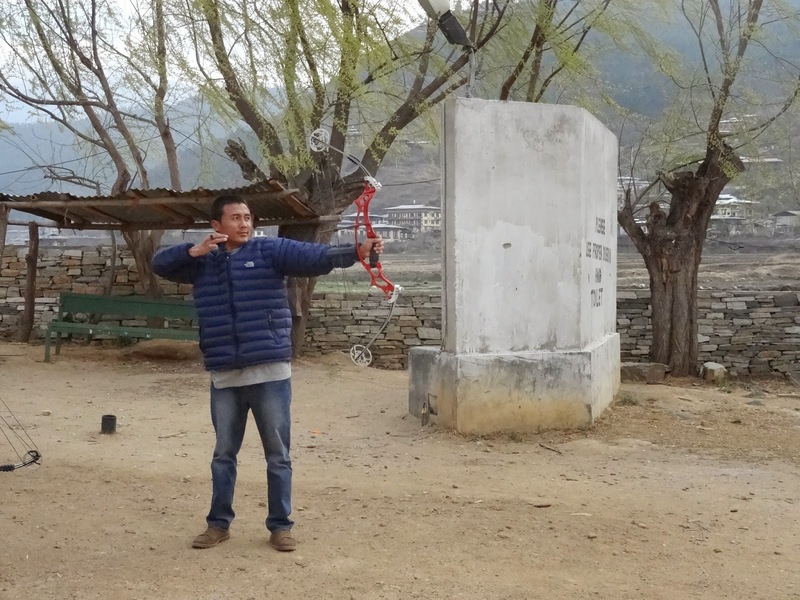 There is a small field for archery and people were practicing archery when I was ambling around that area. I saw carrom board kept in front of many shops and people were playing around it after shopping. Main street of Paro is lined up with many souvenir shops aiming at tourists. Good to see, but they are very expensive are typically imported from India and China. Hardly any items which were indigenous. There are a multiple options for accommodation meeting all budgets. I stayed in Jig Miling which is right on the main road of Paro. It was very convenient to walk around and it was pretty clean and comfortable. 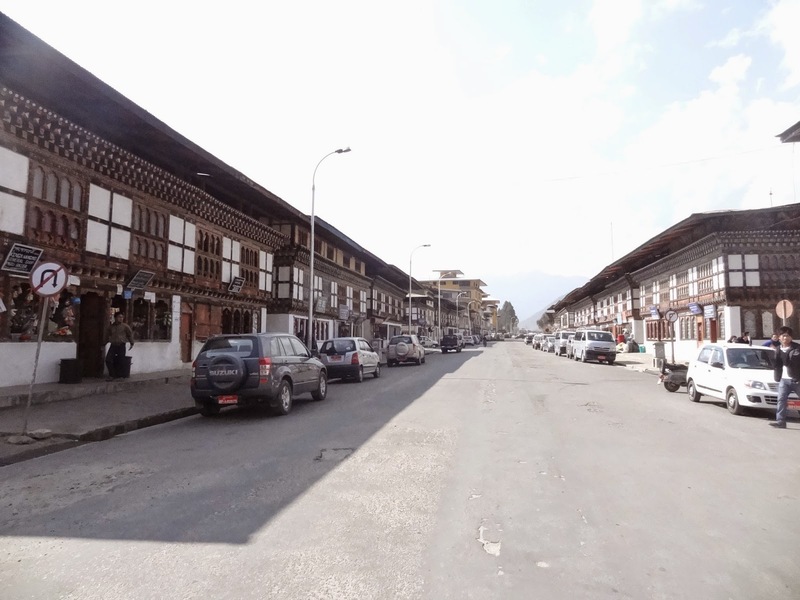 Spending couple of days in Paro will be a totally different experience for fast paced city dwellers to dip their soul in calmness where time hardly moves. Girija is a corporate real estate and facility management professional based out of Bangalore, India. 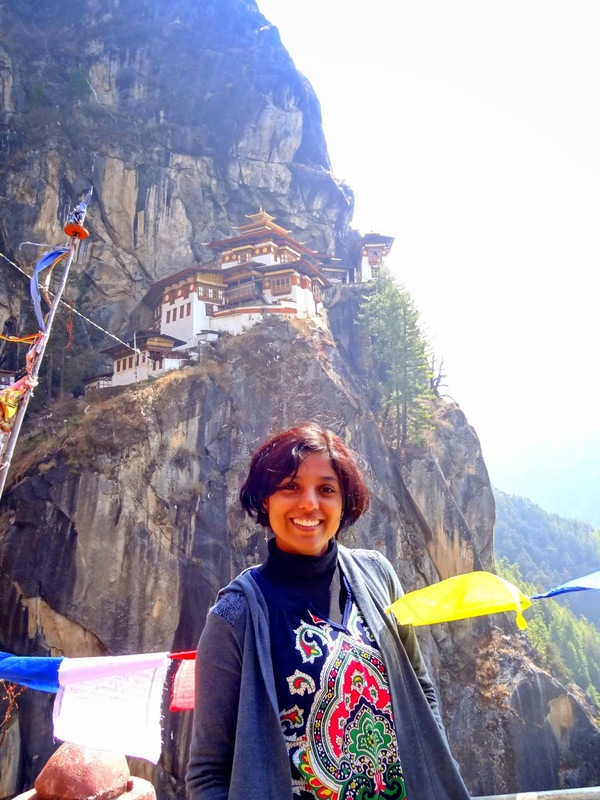 She enjoys her travels and her blogs will help you explore the Himalayan beauty along with other destinations. Click here to visit her blog and trek the Himalayan slopes. Tiger's Nest looks absolutely gorgeous. I hope to visit Bhutan someday. Honestly didn't know anything other than that monastery. Thanks for sharing. Lots more to see now, it seems. Duke…You must visit Bhutan sometime! There is a unique and inexplicable charm about this place!